Brown the ground beef and drain. Add a half cup of water, seasoning, onions (or in my case, expired pico de gallo), and simmer till well seasoned. While browning, spray a baking dish. Slice polenta and layer in baking dish. Sprinkle thin layer of cheese over top. Layer seasoned beef over top of polenta, then smother it in more cheese. Bake at 350 for 20-30 minutes, uncovered. 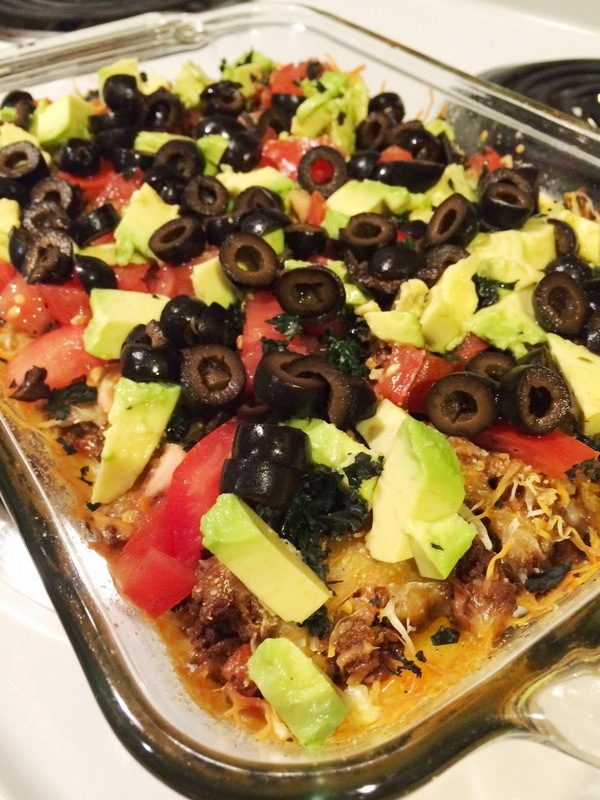 Remove from oven and add taco toppings. This is a great idea! I'm going to have to try this!!! 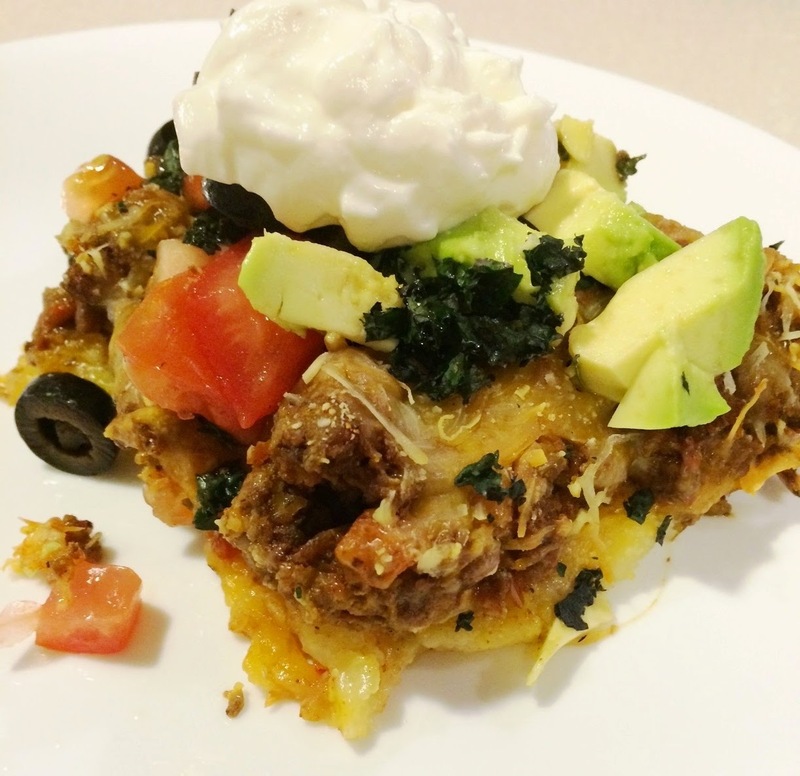 Super gourmet version of tamale pie - brilliant!